KK Blokotehna has a new player under the basket. The Gevgelija team added the center Bozo Djumic just in time before the Final 8 of Macedonian cup. Djumic started the season in Mozambique but has also played for Partizan and FMP Beograd in Aba league. The Serbian started his career in Novi Sad and has also one season in Bosnia for Sloboda Tuzla. Djumic is coming to give more options to Blokotehna under the basket. The 208 cm tall center will deepen the team′s rotation and will try to help Mijatovic and Gaidys. Djumic is expected to debut this week when Blokotehna will play against Ohrid in the quarterfinal of the Macedonian cup. 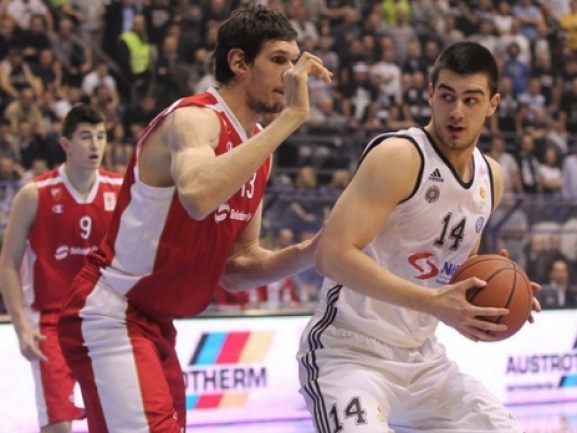 His first game in the Balkan League is expected to be on February 26th against KK Kozuv.